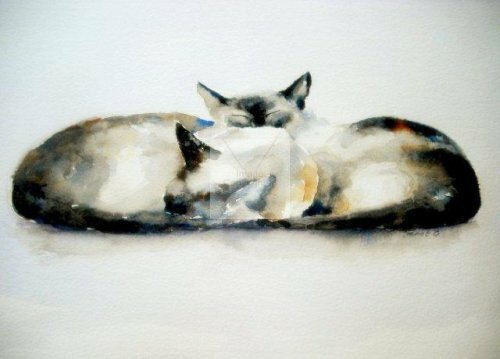 Sleeping Partners (Burmese) is an original, mounted and framed painting. Size 17" 19" approx. (incl. frame). Please email me if you need any further information about this painting.